Will DDT Make a Comeback as Zika Virus Spreads into the USA? The Zika virus has been sexually transmitted in Texas, the Centers for Disease Control and Prevention said today, after a case of Zika showed up in a patient in the Dallas area. This virus is carried by mosquitoes, but also via blood transfusion and sexual relations in humans. 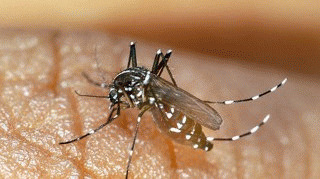 The CDC advises not to have sexual relations with people returning from areas where there is a Zika outbreak, such as Venezuela and other tropical places. Zika poses a terrible risk to the developing fetus. Birth defects in babies, such as malformation of the brain, are caused by this virus. It is said that this virus is spreading quickly to over 24 countries. The World Health Organization (WHO) expects 3 to 4 million Americans to become infected in the next year. The WHO plans to soon provide guidance on sexual transmission, with a "focus on the male sexual partners of women who are or who may be pregnant". The patient in Texas was not the first case of Zika virus reported in the US, though he was recently diagnosed as the first case of Zika being acquired in the US. The man contracted the virus after having had sexual relations with a woman who had just returned from Venezuela, infected with the virus. In 2008, a Colorado woman contracted the virus after her microbiologist husband returned from Senegal. In French Polynesia, Zika virus is shown to test positive in men's sperm and urine, even if it is not detectable in their blood stream. The US government is now considering bringing back the pesticide DDT to combat this mosquito borne disease. In the 1930's, DDT was used almost exclusively as a pesticide to battle mosquitoes in the US. DDT and its residues washed into nearby waterways, where aquatic plants and fish absorbed it. Birds like Bald Eagles were poisoned with DDT when they ate the contaminated fish, putting them on the endangered species list by 1940. Studies show that this pesticide killed fish and birds, and made bird eggs so fragile that they would break during incubation, or fail to hatch altogether. 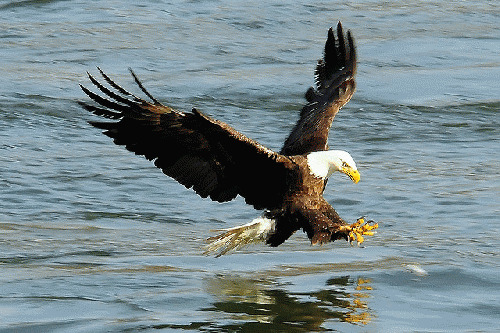 According to the Fish and Wildlife Service, by 1963, only 487 nesting pairs of bald eagles remained. Other fish eating birds were also adversely effected by DDT. According to Stamford University, birds that consume fish have a higher level of contamination per pound than the actual fish does. "If Peregrine Falcons feed on the seabirds, the concentration becomes higher still. With several concentrating steps in the food chain below the level of fishes (for instance, tiny aquatic plants crustacea small fishes), very slight environmental contamination can be turned into a heavy pesticide load in birds at the top of the food chain. In one Long Island estuary, concentrations of less than a tenth of a part per million (PPM) of DDT in aquatic plants and plankton resulted in concentrations of 3-25 PPM in gulls, terns, cormorants, mergansers, herons, and ospreys." DDT is a recognized carcinogen by the World Health Organization, stating this pesticide causes proven toxic levels to build up in the human body. In the US however, where we manufacture DDT for export, the US EPA regards DDT as a "probable" carcinogen. Around the world DDT is known to damage the reproductive system in humans and reduces reproductive success. A 2007 study published in the scientific journal, "Environmental Health Perspectives", concludes that American women exposed to high levels of DDT before mid-adolescence had a five-fold increase in risk of developing breast cancer. Other scientific studies indicate that DDT increases the risks of pancreatic cancer, liver cancer, biliary tract cancer, breast cancer, testicular and prostate cancers. DDT is considered to effect white men more than women or people of color. But those who wish to bring back DDT, have a lot of support. This pesticide was touted as having saved many lives during WWII, killing mosquitoes and preventing Malaria. DDT is most known for eradicating Malaria in the USA. "The DDT ban does not only affect tropical nations battling malaria. In the wake of the DDT ban, the United States stopped its mosquito control programs, cutting the budgets for mosquito control and monitoring. Exactly as scientists had warned 40 years ago, we are now facing increases of mosquito-borne killer diseases like West Nile fever, dengue, [and now the Zika virus]." Icelandic Election 2013. Afram Piratar! !